When it comes to hair, I have a few go-to hair styles: low ponytail, high messy bun, air dried waves (curling as it dries with my fingers), and a straight blow dry. Remember this post? Let's just say I'm a novice. I add little things here and there-- mainly a scarf, flower or barrette. Head scarves are one of my favorites, it's easy and incorporates pretty patterns and color. 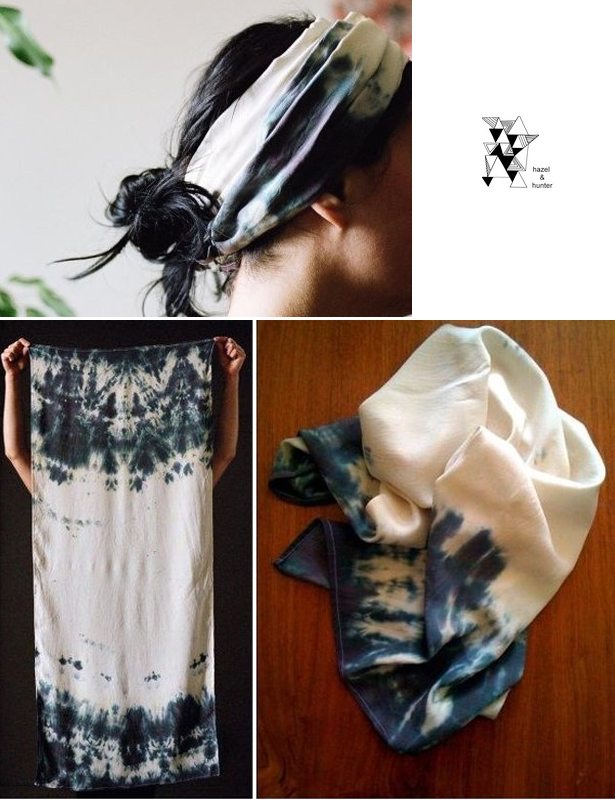 I love this hand-dyed voodoo scarf from hazel & hunter. what's YOUR go-to hair do? Loose curls obtained by going to bed with damp hair wrapped in a towel. Sounds weak, but is so true.